The RMS Mülheim was a German cargo ship that was on route from Ireland to Germany with 2,200 tons of scrap plastics from automobiles. 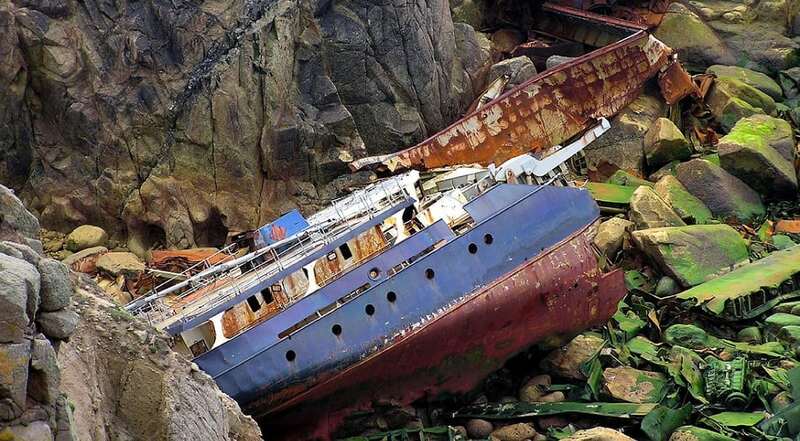 It crashed into Land’s End, United Kingdom in 2003 when the officer on watch fell down and lost consciousness. Everyone on board was saved but the ship wasn’t so fortunate.